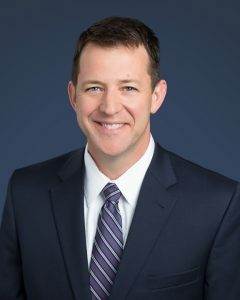 Motivated by his commitment to community and public service, Mike Geeslin began his appointment as the President and CEO of Central Health, the Travis County Healthcare District, in May 2017. A skilled leader in strategic planning and organizational alignment, Mike’s experience includes more than 20 years of legislative, executive branch and association leadership roles. He has a strong background in building collaborative stakeholder relationships and creating effective outreach campaigns to build community partnership. 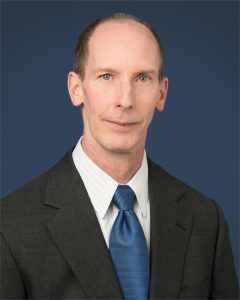 Throughout his career, he has developed a deep understanding of fiscal management and budgeting, with the ability to control costs and invest in strategic initiatives for the good of the organization. Prior to his appointment at Central Health, Mike served as Executive Director for the Texas Dental Association in Austin, Texas from 2014. There he provided management and administrative services for affiliated for-profit and charity subsidiaries, each governed by a separate board of directors. 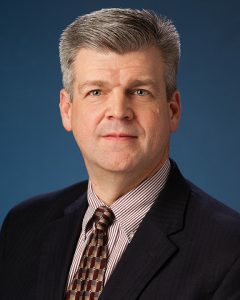 From 2005 – 2011, Mike served as the Commissioner of Insurance, Texas Department of Insurance. During his tenure, the Department implemented the early provisions of the Federal Affordable Care Act in Texas and new regulatory initiatives. Mike helped in the creation of Healthy Texas, a small employer health program helping the uninsured. After serving as the Commissioner of Insurance, Mike served on the board of Sendero Health Plans, in partnership with Central Health. His roles demonstrate his knowledge and ability to provide strong business outcomes, effective communications with public stakeholders and provide greater access to care. Mike holds a Bachelor of Arts in speech communications from Texas A&M University in College Station, Texas. He lives in Austin with his family. Larry Wallace is a proven health care leader and advocate with over 30 years’ experience in developing and leading integrated health care operations. Since joining Central Health, Larry has provided critical oversight of key operational functions in departments such as Finance, Human Resources, Health Information Technology, Eligibility Services, and Facilities. In his time here, Larry has effectively represented Central Health in community engagement opportunities and developed important collaborations and critical linkages with community partners, local safety net providers, community leaders, and constituents. These efforts have helped make significant progress to improve access to health care for Travis County residents. 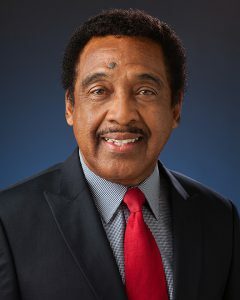 Prior to joining Central Health, Larry served as an executive at John Peter Smith Hospital (JPS) in Fort Worth, Texas, where he completed their administrative residency program and held several positions during his 19-year tenure. While serving as Vice President for Community Health, Larry led the effort to establish a network of 18 community-based health centers and coordinated multiple service lines to include primary and specialty care, pharmacy, and dental care. Other positions held during his JPS tenure include Director of Business Services, Chief Administrative Director, and Family Practice Residency Program Operations Director. Prior to JPS, Larry also worked at The University of Texas Health Science Center in Dallas, as well as Parkland Hospital. Larry holds a Bachelor’s Degree in Business Administration from Dallas Baptist University and an MBA from Amberton University in Dallas. While serving in the United States Army, Larry attended the U.S. Academy of Health Sciences and received certifications as an Eye, Ear, Nose, and Throat Specialist. Larry is also a member of the Medical Group Management Association and the American College of Health Care Executives. Jeff Knodel originally came to Central Health as the Regional Healthcare Partnership Director, directing Central Health’s role as the anchor entity for Regional Health Partnership 7 of the 1115 Medicaid Waiver in Texas. Previously, Mr. Knodel worked as Deputy Chief Financial Officer for the City of Austin where he held various positions over 25 years, including Deputy Controller and Controller for the City. Among other projects, he headed the wind-down of operations at the then city-owned and operated Brackenridge Hospital prior to its transition to Central Health in 2004. Jeff graduated from Southwest Texas State with a Bachelor’s Degree in Management and has been a Certified Public Accountant for more than 22 years. Susan Lara Willars is Central Health’s Enterprise Vice President of Human Resources. 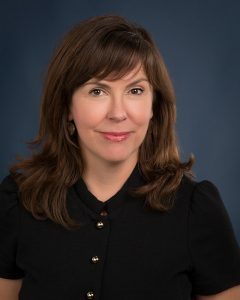 In her role, she partners with executives across the Central Health Enterprise (Central Health, CommUnityCare, Sendero Health Plans, Inc.) and their teams to ensure that best practices are consistently achieved in recruitment, retention, talent management, performance management, employee engagement, employee relations, compensation, and benefits design and administration. Prior to joining Central Health, Susan served as the Vice President of Human Resources for Mission Regional Medical Center in Mission, Texas. With over 21 years of experience in various human resources roles, she has a proven record of enhancing performance, increasing opportunities for career development, and implementing human capital strategies for a multicultural organization. Susan holds a degree in Business Management from the University of Texas Pan American and a MBA from Aspen University. Steven Lamp serves as Central Health’s Vice President of Real Estate and Facilities. Steven was most recently Managing Principal of a regional real estate development and investment company. In prior roles, he directed design and construction for private and institutional entities, and headed international and regional construction offices and efforts. His diverse experience includes health care, academic, hospitality, transportation, airport, government, industrial, mixed use, and other development and construction types. So far in his career, he has successfully managed more than $2.5 billion in capital projects on five continents. Steven Lamp graduated from Carnegie-Mellon University with Bachelors of Science degrees in Civil Engineering, and Engineering and Public Policy. Perla Cavazos was born and raised in San Benito, a small town on the Texas-Mexico border, and moved to Austin over 20 years ago to take a job advocating for affordable housing for people with low income. Since moving to Austin she has developed expertise in public policy, advocacy and government affairs with a focus on improving the lives of Texans who are most vulnerable. She joined the team at Central Health in July of 2016, and previously worked for Texas Legal Services Center, Texas Campaign to Prevent Teen Pregnancy, and in the Texas Senate as a Senior Policy Analyst and Legislative Director. Perla has a BA from Stanford University and a Masters in Public Affairs from the LBJ School of Public Affairs at The University of Texas at Austin. Perla is an active volunteer in the community and serves on several non-profit boards and city commissions and task forces. She is a board member of Planned Parenthood-Greater Texas, Foundation Communities, Texas Access to Justice Foundation and LUPE Arte. Perla is a founding member of FuturoFund, a local philanthropic circle that supports Latino-serving nonprofit organizations in Austin. Her public service includes past terms with the City of Austin Planning Commission, Commission for Women, Resource Management Commission, Imagine Austin Citizens Advisory Task Force, and recently the City Manager Search Task Force. Perla is a Leadership Austin Alum (’08) and recipient of the “Austin Under 40 Award” in government and public affairs (’08). A native Austinite, Ted graduated from The University of Texas at Austin with a degree in journalism. 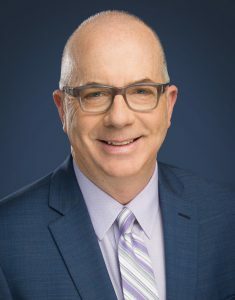 Ted worked as a TV news reporter and news executive in markets across Texas, Oklahoma and Missouri – including Austin’s KEYE-TV (CBS) – before directing public relations for Capital Metro. For nearly 14 years, Ted developed and executed comprehensive public health and environmental communication campaigns for local, state, nonprofit and corporate entities as Executive Vice President for an Austin-based advertising agency. Ted serves on the board of directors for Out Youth, a 28-year old nonprofit serving LGBTQ youth in Central Texas, most recently as board chair. In 2017, Out Youth honored Ted with its Bill Dickson Legacy Award. He previously led PR efforts as a volunteer for the Hill Country Ride for AIDS and is a founder of Softball Austin, a LGBTQ-focused sports league that has grown to include hundreds of members. He was an inaugural inductee in the Softball Austin Hall of Fame. Ted is a Leadership Austin alumni and former board member. As Vice President of Public Service for the Austin Advertising Federation Board of Directors, he was a two-time “Unsung Hero Award” winner. He previously served on the board for Volunteer Legal Services of Central Texas and Metropolitan Community Church at Freedom Oaks. Ted co-chaired Leadership Austin’s Best Party Ever in 2012, Out Youth’s 25th Anniversary Gala in 2015, and was recently named the 2018 Planned Parenthood Dinner Co-Chair. 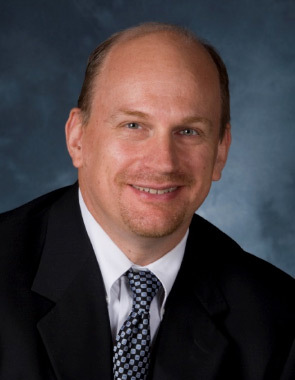 John Clark is a dynamic and effective information technology executive who has dedicated his career of over 20 years to healthcare delivery and to the service of others. He has held progressive leadership roles with large integrated health systems such as Baylor Health System of Dallas Texas and BayCare Health Systems of Clearwater Florida. During his career, he has also held the role of CIO for hospitals and hospital development and management organizations. Within his vast network of peers and mentors, Mr. Clark is revered as a strategic visionary and organizational change agent. He is known for using customer relationship management and collaborative approaches to support innovative Information Services (IS) delivery methodologies. He has often been the go-to leader for significant process modification, quick turnaround on major initiatives, risk mitigation, and overall organizational cultural change. Mr. Clark holds a Bachelors of Business Administration with a concentration in Management Information Systems and a Masters of Business Administration with a concentration in Technology Management. He is a combat veteran and was Honorably Discharged from the U.S. Army, Signal Corp in 1993 where he provided logistical services, technology support, network infrastructure design and telecommunications for NATO operations, rapid deployment forces and frontline infantry units. Mr. Clark has a deep understanding of the driving influences of technology in the clinical and business aspects of healthcare delivery. He is committed to making all areas of technology and IS service delivery top notch at Central Health. Monica joined Central Health in 2014 as Communications Director. Her professional experience features more than 20 years as an advocate and attorney for public entities and non-profit organizations. Monica has participated in and led the development of strategy, legal, and public policy matters for health care, governmental affairs, and enforcement divisions. 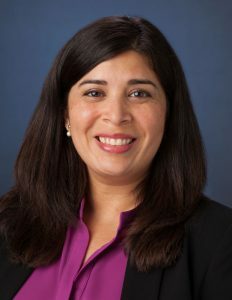 Before joining Central Health, Monica served as the Vice President of Strategic Communication and Policy for Lone Star Circle of Care, a Federally Qualified Healthcare System based in Georgetown. 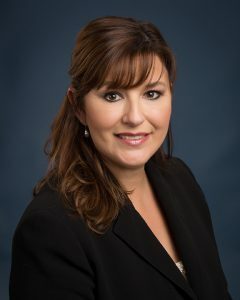 Monica began her career as a white-collar enforcement attorney with the Texas State Securities Board and the United States Department of Justice Antitrust Division. Monica also served as an Assistant Attorney General with the Medicaid Fraud Control Unit of the Texas Attorney General’s Office. Born and raised in Clovis, New Mexico, Monica is a graduate of Austin College and The University of Texas at Austin School of Law. Monica is passionate about preventing and ending homelessness, and serves on the Board of Directors for Caritas of Austin. She resides in South Austin with her husband John and daughter Lilly.